Updated expected specs in first topic with all latest rumors. The OM-D E-M1 Mark II will be weathersealed to be dustproof, splashproof, and freezeproof (down to 14°F / -10°C) in a compact lightweight design, ideal for shooting in all types of outdoor conditions. The camera will exceed professional photographers’ performance requirements by employing a high-performance durable shutter designed to clear 200,000 actuations, dual memory card slots, and an improved battery capacity of 37 percent from its predecessor model. Autofocus functions such as AF Target Mode, AF target position, and face/eye priority AF will be easily set with a single action. AF operations will be enhanced with a new cluster display, which illuminates active sensors to assure the user of focus subject accuracy. The AF Targeting Pad feature will allow users to select the AF point by sliding their finger on the rear touch LCD while looking through the viewfinder. 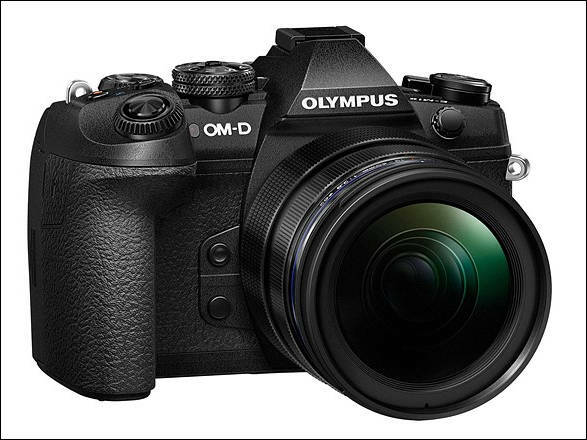 The Olympus OM-D E-M1 Mark II will be equipped with the latest in-body 5-Axis Image Stabilization that compensates for all types of camera shake. An optimized correction algorithm will boast outstanding compensation performance with approximately 5.5 shutter speed steps of compensation*1. Also, when combined with Olympus lenses equipped with in-lens image stabilization, 5-Axis Sync IS will provide the world’s most powerful 6.5 shutter speed steps of compensation for blur-free handheld shooting of stills and video. Depth-of-field is especially shallow when taking macro photos, making it difficult to capture an image that is completely in focus from the foreground to background, even at smaller apertures. Focus Stacking Mode will capture eight shots at different focal positions and composite them to form a single shot that is entirely in focus. The depth-of-field provided by Focus Stacking will be far deeper than even the smallest aperture at close distances. 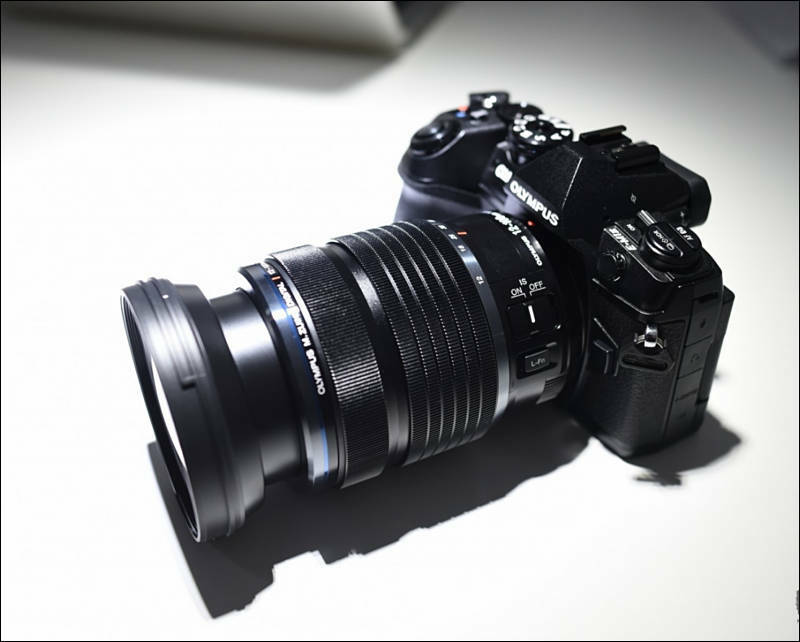 Focus Stacking Mode will be compatible with seven Olympus M.ZUIKO lenses for a variety of shooting scenes. "The OM-D E-M1 Mark II will support Digital Cinema Standard 4K (4096 x 2060 pixels) video capture*9 at a 24P frame rate and a bit rate of up to 237 Mbps for authentic movie production. " The suspense is horrible. Is it awful or is it good? Hmmmm built-in focus stacking. Nice feature, if there are minimal atrefacts. Anyone know if the 24p is 23.976 and or 24p? Or if there is a 2160p with 3840? This camera is high on my wishlist. Olympus is really crunching out some amazing bodies and this one seems to tick off many of my wishes. Curious how it will compare to the Fuji X T-2. Want one! How soon they will ship? 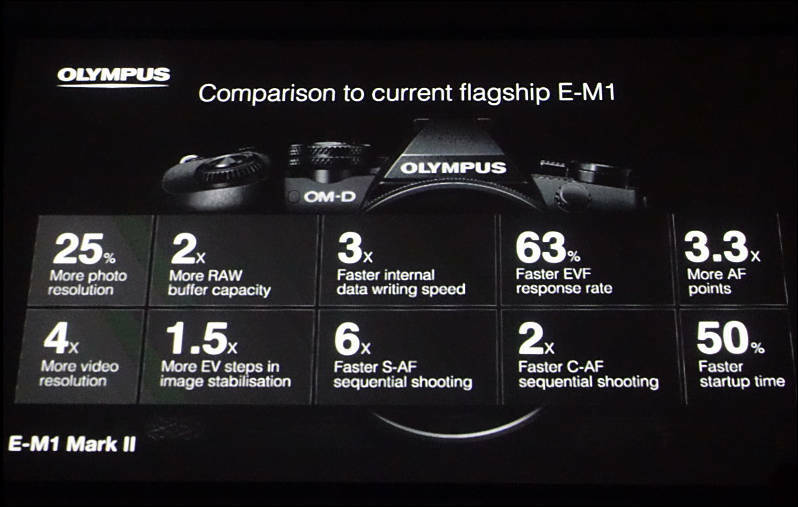 AW: In its launch presentation Olympus said the E-M1 II would offer a better value proposition than APS-C. Can you expand on that; for example did it mean both DSLR and mirrorless? SK: In a sense it’s both, but more about the conventional APS-C DSLR than APS-C CSCs. With the E-M1 Mark II we have surpassed the speed and image quality of APS-C DSLRs. We’re better than our competitors at mid-range ISOs around ISO 6400, with better noise reduction and resolution. AW: Can we talk about the E-M1 Mark II’s new IS system. How well does it work with and without IS lenses? SK: The in-body stabilisation itself gives 5.5 steps, and the Sync IS gives 6.5 steps with OIS lenses. 6.5 stops is actually a theoretical limitation at the moment due to rotation of the earth interfering with gyro sensors. AW: Is the sensor related to the one in the PEN-F just with PDAF added, or are there more differences? SK: It’s a totally different sensor, two times faster, with totally different construction. On-chip phase detection is also incorporated. 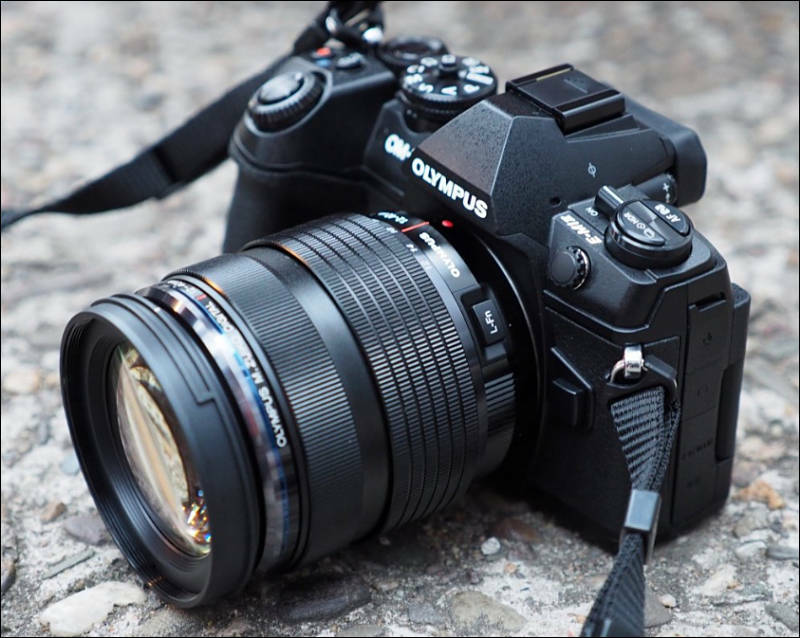 Does the OM-D E-M1 Mark II offer the best image quality of any Olympus camera? Yes! Dynamic range is better, and also noise is better. So the OM-D E-M1 Mark II definitely offers the best overall image quality of any Olympus camera to date. 6.5 stops is actually a theoretical limitation at the moment due to rotation of the earth interfering with gyro sensors. I'm sure Sony will be first to market with IBIS that slows the Earth's rotation. Do we know yet if there is a video crop associated with 4K recording on the MkII? Q - Regarding sensor resolution – Why did you choose a 20mp sensor? We are always looking for the best balance between high resolution and noise performance, and it’s a balance. Total image quality is important. Q - Can you take hi-res shots handheld? No, not yet, it has to be extremely precise, as it is moving the sensor as a sub-pixel lens. The right thing to do was to use larger shifts, record special info in EXIF and supply automatic align in software. Q - Can you tell us more about the 20mp sensor in the E-M1 Mark II? The 20mp Live MOS sensor, different to the PEN-F, with Phase Detection focus on chip. There's a new processing engine, the TruePic VIII – giving higher image quality, there is a 1 stop noise performance improvement over the E-M1. Performance should also be better than the PEN-F due to the new image processing engine. The Auto ISO range is now up to ISO3200 (by default), when it used to be ISO1600, as we are happier with the noise performance. The camera also goes down to ISO64, although this is at a lower dynamic range. ISO3200 on the E-M1 is equal to ISO6400 on the E-M1 II. On Dynamic range, we have compared the dynamic range to the competition, and the E-M1 Mark II at ISO200 gives 4.2 steps, which is better than the E-M1, (3.8steps), and APS-C cameras such as the Canon EOS 7D Mark II (3.5 steps), and Fujifilm X-T1 (3.5steps). Dynamic part thing make little sense. Where is no such thing as "TruePic VIII" outside marketing, as they use Panasonic LSIs. I also have doubts about sensor performance, as most of it lately is achieved by heavy noise reduction, even in raw. Q - How did you improve the AF system? We needed to change everything in the camera, change the EVF, and sensor engine, so that’s it’s possible for the shooter to track the subject. The EVF delay is normally a problem, but we have improved this with a 120fps refresh rate and response time of just 6ms. Making it very close to an optical viewfinder. You can shoot at 18fps, and we also show the image between blackout, so you can continue to see the live-view, not just the photo after it has been taken. From this Olympus have nothing to do with sensor and EVF panel. Of course they made big work with firmware actually making it work at max. The E-M1 II has a 2x larger buffer than the E-M1, a processor that is 3.5x faster, plus a 3x faster readout from the sensor, as well as support for UHS-II cards so the images can be written to the card quicker. Normally an update would be just the sensor, or just the processor, or a few parts of the system, but we had to change it all to improve the performance. So, LSI is by Panasonic, memory most probably by Samsung or Elpida, and sensor from Sony. But we must prize Olympus? I found it interesting in the interview that Olympus still do not consider the EM1 II a hybrid but "a stills camera with video". It makes me wonder with all they have apparently done why they wouldn't consider it a Hybrid for marketing purposes. I'm not sure if it could be that Panasonic is going to come out with a masterpiece of a Hybrid and they know it or there is still some minor issues like moire handled better by others? I really hope there just being humble. I really like the brand but so far have always been compelled to go Panasonic because of there edge in video. I'm looking forward to a very difficult decision next year.